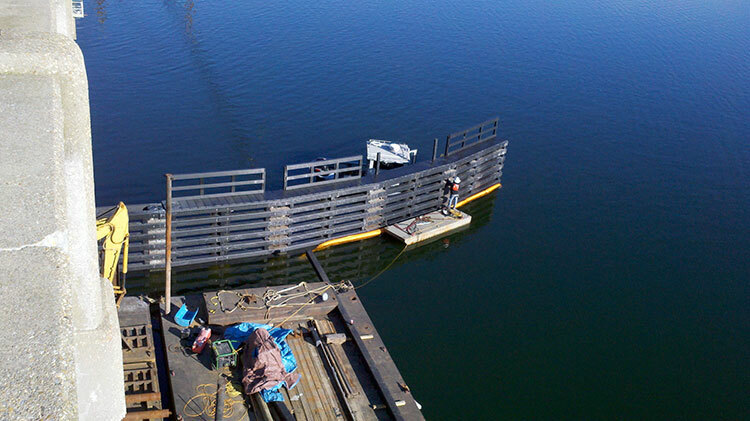 This project consisted of removing approximately 332 linear feet of timber fender system and replacing it with the first all composite fender system in the State of Virginia. 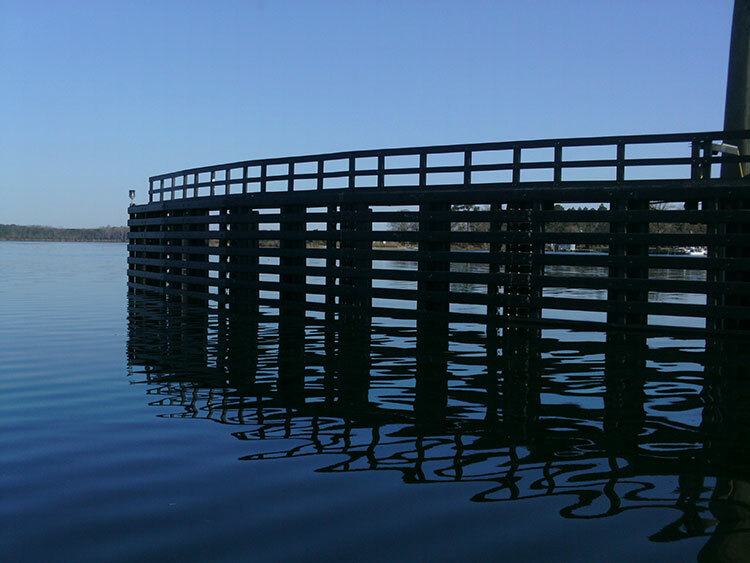 During the procurement phase, Crofton was able to successfully submit a Value Engineering proposal for an alternate type of composite pile which provided the State with a savings of $65,000. 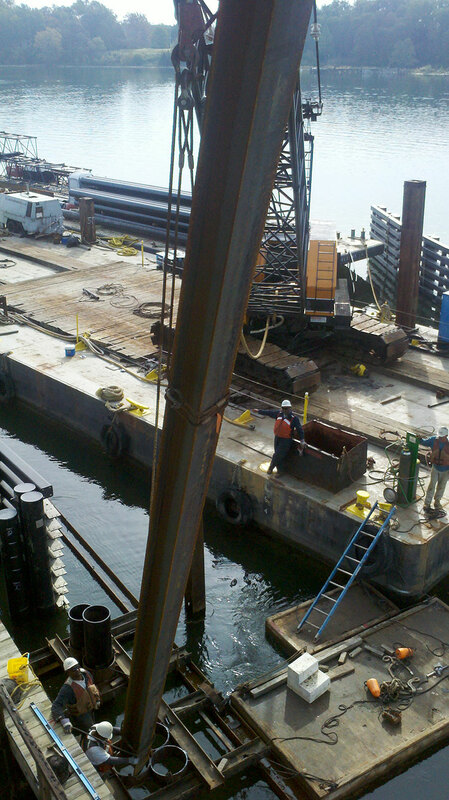 This project had one major hurdle which consisted of driving 80’ long piles under a bridge with a clearance of only 62’ from the bottom of the bridge to the mud line. 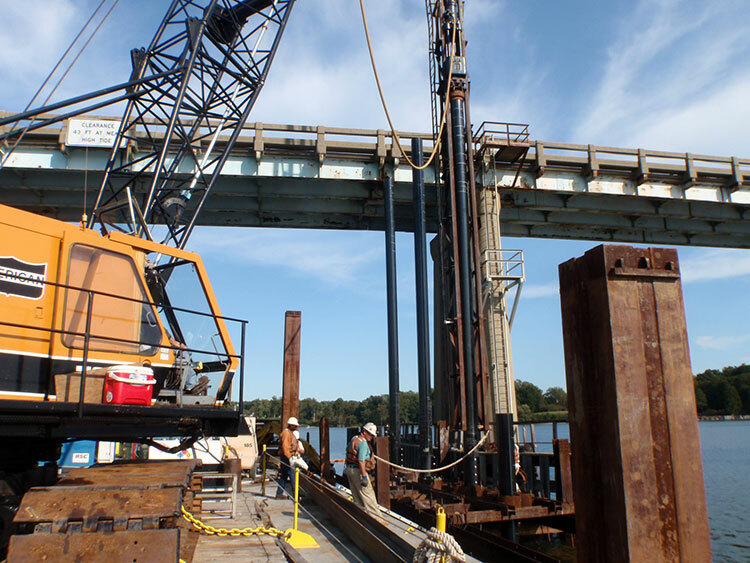 Crofton arrived on site and drove 92 each piles outside of the bridge foot print and then drove 24 each piles underneath of the bridge. 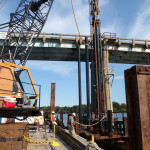 In order to drive the pile underneath of the bridge, a spliced connection was used which consisted of a 42’ long steel pile and a 38’ long composite pile. 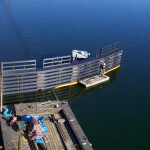 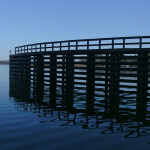 The steel pile was set into the template and driven to the mud line using a follower. 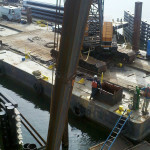 Then commercial divers were used to connect the composite pile to the steel pile underwater and then the composite piles were driven to grade.